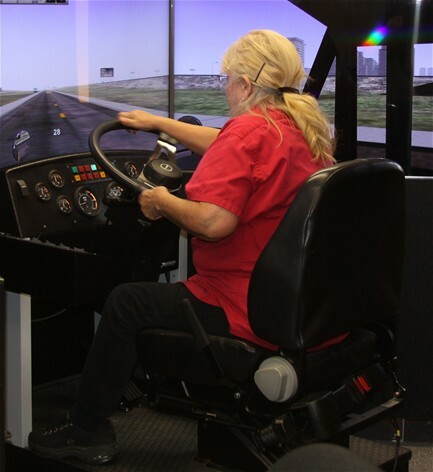 The simulator training is part of a three-day course that teaches the state laws when driving a school bus, as well as braking and evasive steering and then tests the driver’s knowledge. With the help of the simulator training, there is an average of a 38% reduction in driver error accidents which results in lower costs for the district. This state-of-the-art simulator provides drivers with many scenarios to teach them responsible and proactive reactions in stressful situations. Equipped with more than 400 scenarios, the simulator can mock anything from weather conditions such as high winds or even snow, to blow outs and mechanical failures of the bus. A real seat and steering wheel help teach drivers defensive driving, evasive steering and allows them to practice their safety procedures.